Let me introduce my new column “Tidbits” – delectable bits of food news that I think will be of interest to the foodie in you. This will be a regular column. Cabaret Brewed Chocolate: This is not hot chocolate this is what the ancient Mexicans brewed. Stir a teaspoon in half a cup of hot water. The label says see how you feel after 20 minutes: maybe a happy sensation of calm, maybe a gentle lift of clear energy or a glow of well-being. Compose of water-brewed whole cocoa beans and organic evaporated cane juice. http://www.brewedchocolate.com/ I really like it and nice change from tea. 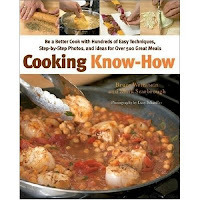 Cooking Know-How by Bruce Weinstein and Mark Scarbrough - 65 Simple Cooking Techniques with over 600 Recipes and Ideas for Thousand of Meals published by Wiley will be out April, 2009. 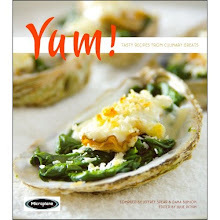 It has already been chosen as a main selection of the cook book division of Book of the Month Club. If you click HERE you can get a preview of the book at amazon.com. I’m hoping to get this talented duo to Baltimore for a cooking class based on the book. Many of you might recognize them from their “Ultimate” cookbook series and the demos at the Baltimore Book Festival. This I believe makes their 13th cookbook. Aldo’s Italian Restaurant, 306 S. High Street is celebrating their 11th Anniversary on Thursday, March 19th from 6 p.m. to 9 p.m. Enjoy Southern Italian Wines and Calabrese cuisine. They will clear out the tables and open their dining rooms for a casual cocktail-reception-style wine tasting event--modeled after the exclusive, limited-invite, trade-only tastings that usually only wine professionals and restaurateurs are invited to!Four wine distributors will be on-hand to pour their finest Southern Italian wines. 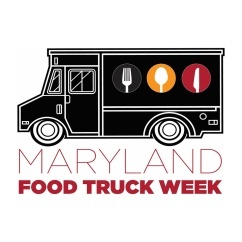 And you'll be able to purchase your favorite wines at special, discounted prices from our partner retailers.To top it off, they’ve paired these great wines with Chef Aldo's own Calabrese cuisine... Chef Aldo will be preparing his food--the hearty and flavorful food of Calabria that is served at Chef Aldo's very own home table. TICKET LEVELS:** Friend of Aldo's **at $55 per person (all-inclusive), you'll experience Chef Aldo's award-winning cuisine and the award winning wines of Southern Italy as we celebrate our anniversary together. **Aldo's Exclusive VIP Grand Wine Cellar Experience**at $185 per person, (all-inclusive) you'll enjoy exclusive access to our VIP Wine TastingExperience in Aldo's Wine Cellar featuring rare and ultra-premium Italian wines personally selected from our cellars by Aldo's Wine Director Vincent Transparenti, including: fine vintage champagne, the wines of Angelo Gaja, Super Tuscans and a once-in-a-lifetime chance to taste Dal Forno Romano Amarone ($1,050 / btl). This exclusive event begins at 7:00pm and is limited to 36 guests, on a first-come-first-serve basis.